Welcome to the first in a new series of articles aimed at helping you improve your working life. Whether you are looking to secure a promotion or blow the whistle on bad working practices, we hope you’ll find Steve Girdler’s “How do I..” editorials both interesting and useful. And where better to start than right at the beginning? Let Steve guide you through making your CV really special. The Curriculum Vitae is your first contact with future employers and has the potential to open the door to a more rewarding and challenging job. Selling yourself and your skills successfully in your CV can make the difference between securing an interview and finding yourself on the reject list. There are many things that you can do to make your CV really special. You need to make an instant impression and should view it as a marketing tool, with which you are able to promote yourself. Imagine the CV as a brochure that will list the benefits of a particular service – the service being your experience and skills. When putting it together you should ask yourself: would you stand out against the competition and would the employer want to interview you for a possible job? Remember to focus on your achievements, giving examples of tasks you have successfully completed that demonstrate your strengths and competencies. These should include activities that reflect your attitude and personality. Rather than simply stating activities you have done, always explain what skill you have gained from that activity and the results you achieved. The same applies in reverse. Never simply state a skill. Rather, try to back it up with a real life situation. For example, rather than saying: “I recently helped implement a new customer relationship management (CRM) programme for call agents to work from”, or “I have good time management skills”, put them together and say “assisting the implementation of a new CRM application to a strict deadline of two months helped me further my planning and time management skills”. It is also important to keep it clear and concise. Two sides of A4 are more than enough. Make sure the appearance of your CV is professional by avoiding fancy formatting and sticking to white or cream, good quality paper. And remember that your CV should always be accompanied by a covering letter – especially if you are targeting a company that may not currently be advertising positions. Covering letters should be tailored to each different company, explaining why you want to work for that company and what qualities you have to offer over other applicants. The letter should be brief, no longer than a few paragraphs, and should interest and motivate the recruiter to read your CV. In other words, make the letter professional and enthusiastic in both writing style and appearance. Always match up your covering letter with your CV by using the same fonts and paper. And enhance continuity further by drawing out one or two of the key skills from your CV and remembering to close the letter by stating that you are available for interview. 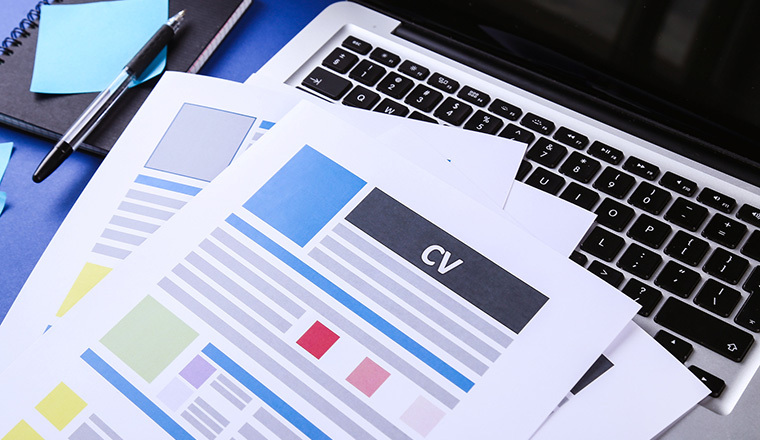 It’s a good idea to have an electronic version of your CV as well as a paper based one. But don’t let that be the end of your quest for the perfect CV. The final thing to do is to check, double check and triple check your spelling and contact details on both the CV and covering letter. Attention to detail is vital and there is no point having a fantastic CV if no one can get hold of you. Call centre work – what is it really like? Hi steve i have entered your website to find out more about how to create a special cv. Please help me out or if you don’t mind e-mail me a draft of that. Hi, i want to apply for a call centrew job, but only have 5months experience as administration officer. i’m working for a debt collecting company. please help with a with an example of a call centre cv please. I’m Tanzanian lady, working in a horticulture company, I’ll like to have a sample of prparing a CV for myself, whia is real need’s of info that can make it easier for you to make one for me? Hi, I’m Muammar from Orange-Jordan call center. Thank you Steve and everybody here who is reading my comments. I’ve summarized the main topics of this article and will update my resume accordingly. I’m ready to submit it to anyone who is willing to send me back his feedback and suggestion. I want your guidence in preparing my cv in a decent and organised way. The cv must be appealing.I want to see how you can guide me in this department.